Incorporating ergonomics into the workplace helps to maximize productivity by minimizing fatigue and discomfort, and lowering the incidence of repetitive strain injuries. The set up of your work station is equally as important as your body position, and can greatly reduce stress on your body. 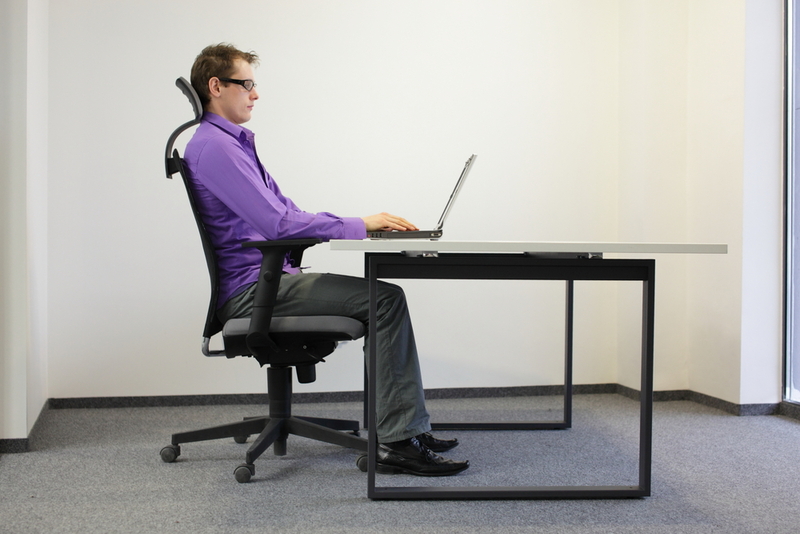 Choose a desk that is the appropriate height for you. Ensure items you use frequently are easily accessible. Ideally, they should be within arm’s reach. Adjust your keyboard level so your elbows remain relaxed by your side. When typing, do not allow your wrists to sag and rest on the keyboard. Place your mouse close to you in a comfortable position. Do not grip it too firmly. Use your whole arm/shoulder to move it, rather than just your wrist. Reduce eyestrain by adjusting your workstation to avoid glare from overhead lighting or windows. Rows of lights should be parallel to your workstation, while windows should be perpendicular to your monitor. Remember to take frequent breaks during the day to stretch your neck, arms, wrists, back and legs. We all know it can be easy to get caught up in your work – set a timer every 30-60 minutes to remind yourself. Desk work places unique strains on the human body. Visit your chiropractor for regular maintenance care to address that stress and the problems it can cause. If you don’t have your next appointment booked, call Sheppard Chiropractic Centre today at (506) 635-8182 or (506) 847-7172 to schedule your next appointment.